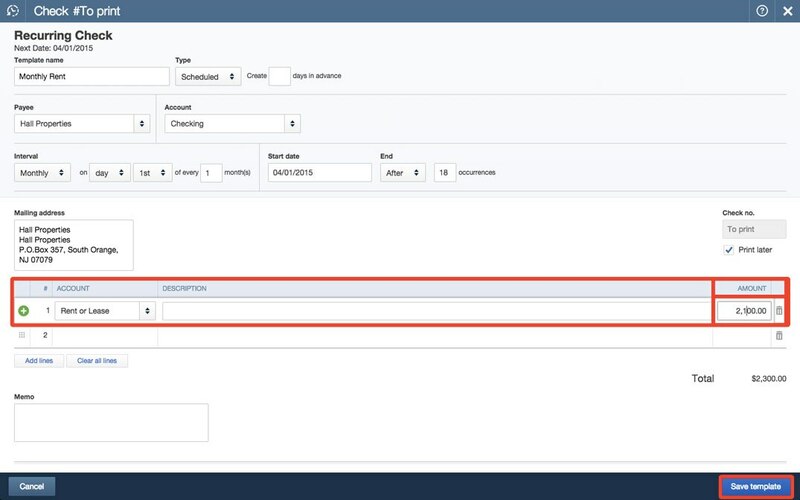 Save yourself time by making recurring transactions out of expenses and invoices that are the same every month. 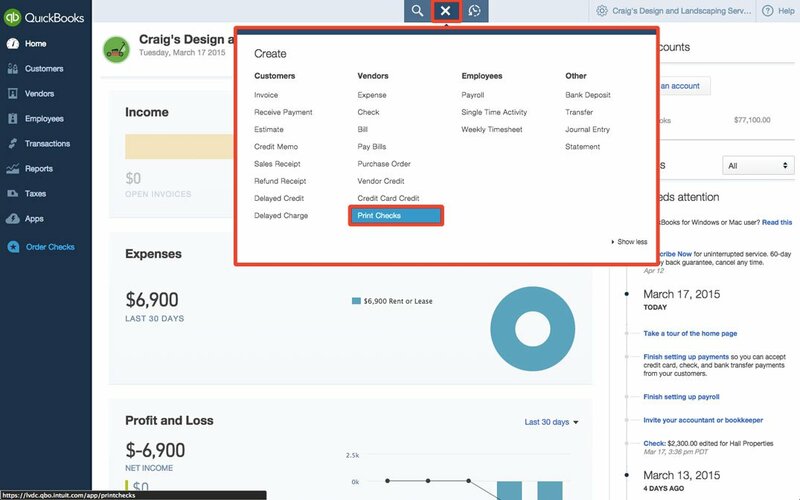 From the home screen, click on the + Menu and select Check. 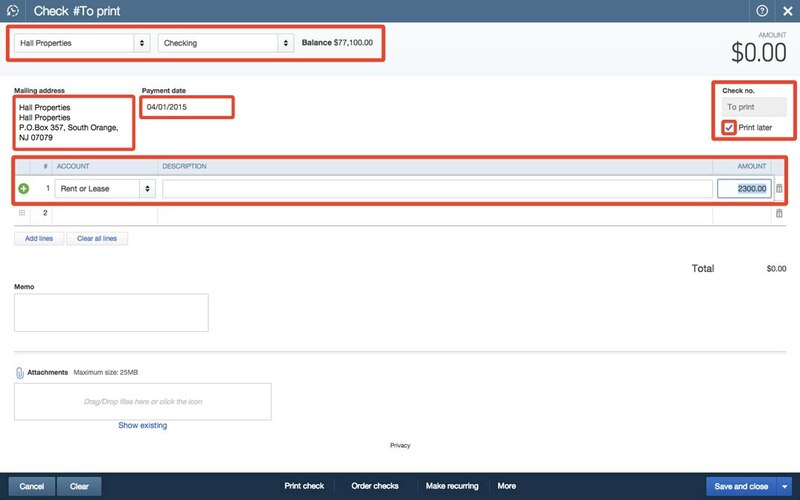 Fill out the check exactly the way you want QuickBooks to do it each month. Make sure the words “To Print” appear in the Check No. field on the right of the screen. 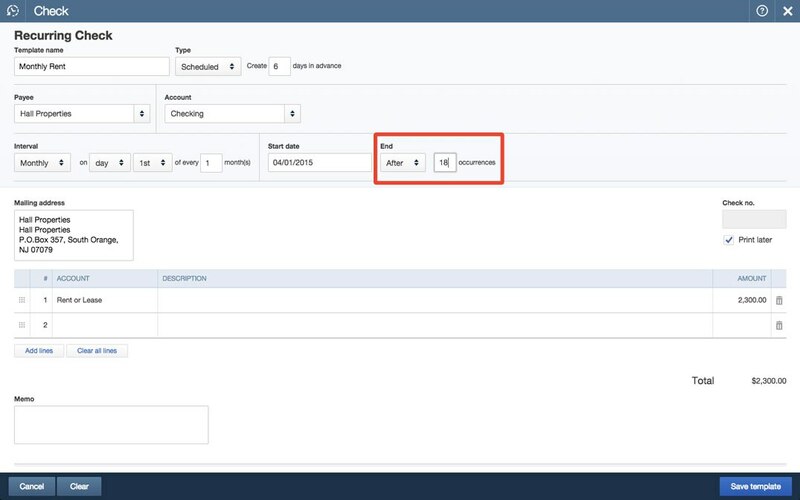 Once you have your check template filled out the way you like, click Make Recurring at the bottom of the screen. 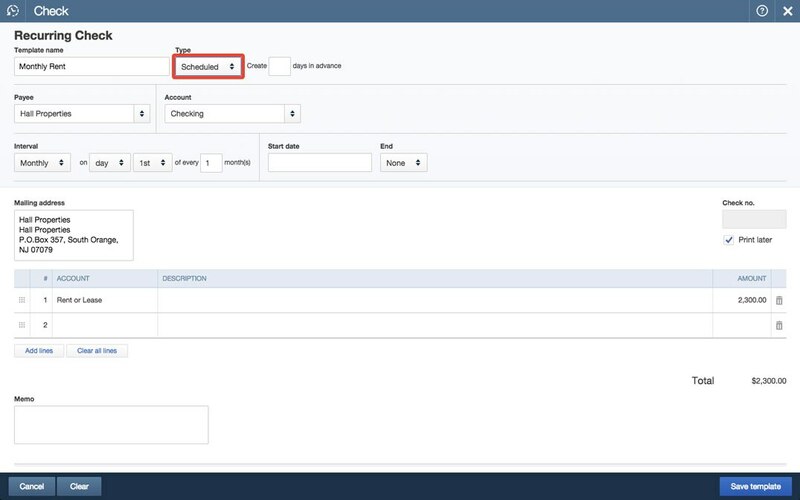 Next, fill out the recurrence details for the check template you just created. 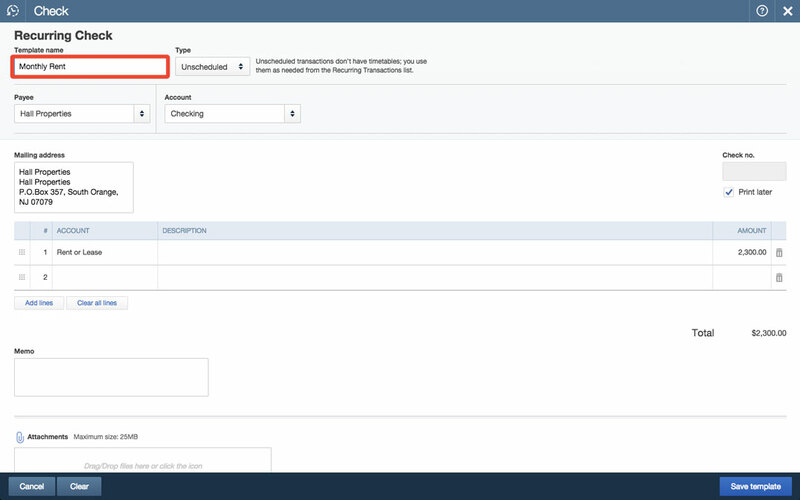 In the box labeled Template name enter a good name for the recurring transaction — be sure to use a name you’ll recognize every time it recurs. 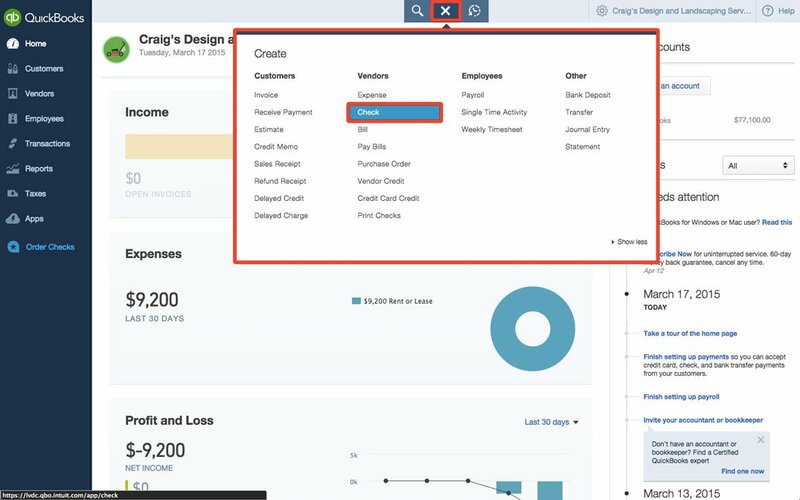 Enter how many days in advance you want QuickBooks to create the check. (Note: If it’s an electronic payment, enter 0). 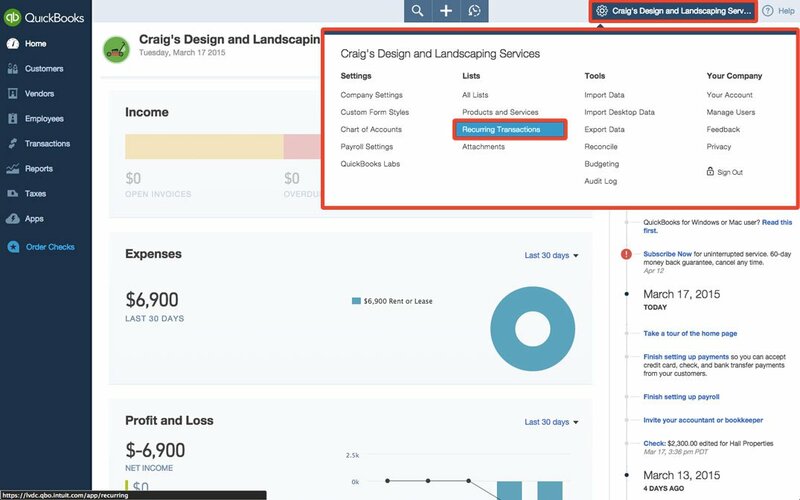 Next comes the Interval — use the drop-down menus to specify when the check is due. Enter the Start date — in the case of our example, the Start date is the first month you want to cut a rent check. Enter the recurrence End date — in the case of our example, this is the end date of your current lease (e.g. 18 months). 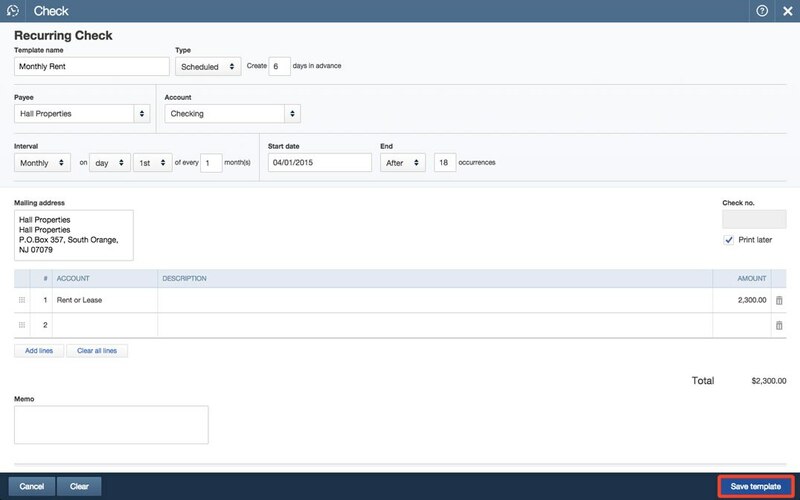 Finally, review the whole check to make sure everything’s correct, then click Save Template. 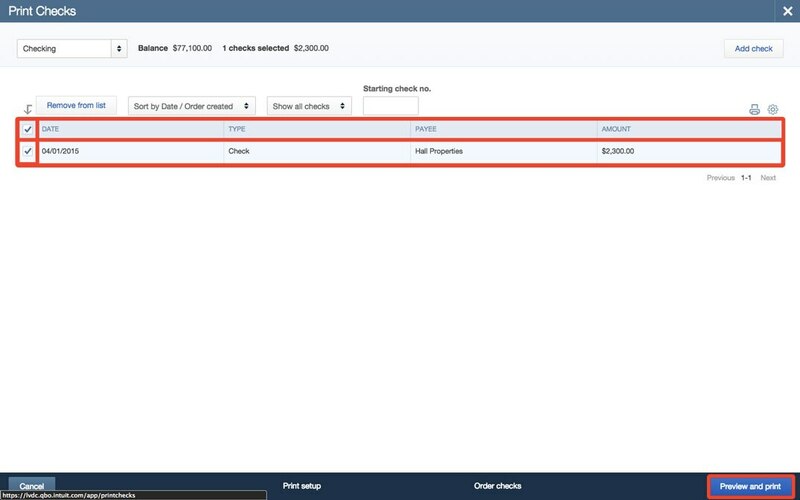 To print out your check, from the Home Screen click on the + menu and select Print Checks. 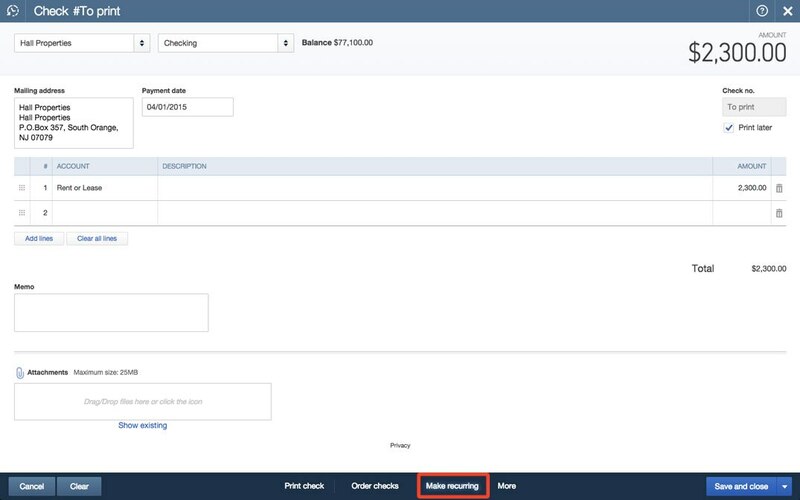 On the Print Checks page, select the box next to your check, then click Preview and Print. Later on, you might want to edit an existing template without starting completely from scratch. For example, if your landlord were to raise or lower your rent, you would want to make a small change to the template you just created. 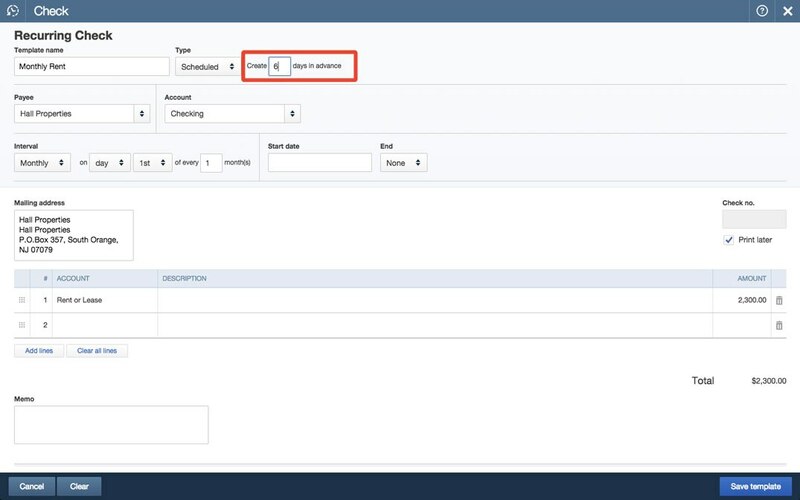 To edit an existing template, from the Home screen, click on the Gear Menu and select Recurring Transactions. 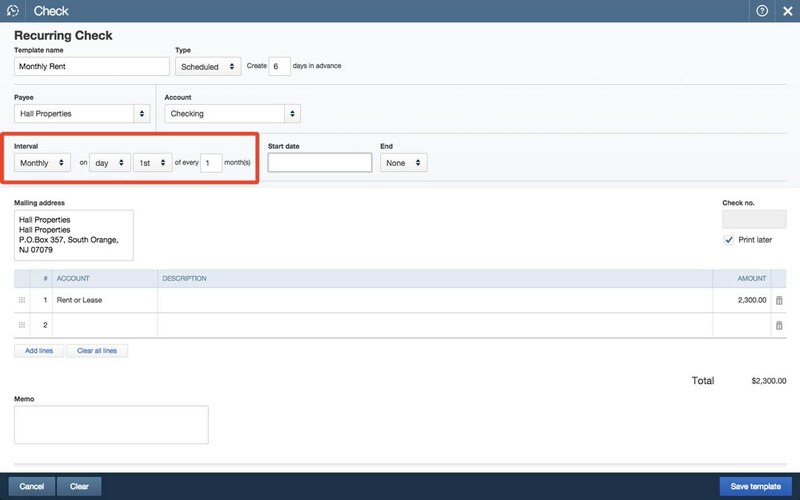 You can edit or delete any recurring transaction here on the Recurring Transactions menu. For example, change the amount to be paid from $2300.00 to $2100.00. Remember to click Save Template once you’ve made your changes.